Born in Barre, Mass., November 11, 1781. Died in Boston, October 11, 1851 — 70 years. Made a Mason in Columbian Lodge April 4, 1804, and became a member July 5, 1804. Was Worshipful Master of Columbian Lodge in 1810, 1813, and in 1817 and 1818. Was Grand Master of Masons in Massachusetts in 1830, 1831 and 1832. During the last year of his administration the Masonic Temple was built. This was at the time that the anti-Masonic excitement was greatest. M. W. Bro. Jenkins was a carpenter by trade, and a member of the militia, and is said to have held every office from Ensign to Colonel. Was a member of the Ancient and Honorable Artillery Company. Was a reflective and self-taught man. Had many misfortunes in business but later in life became independent by reason of a government contract to build the Custom-house and other public buildings at New Orleans. When we compare the conditions one hundred years ago and tonight, we realize what a change there is. He was Grand Master during the three years when there was the greatest feeling against Masons in Massachusetts of any time during the anti-Masonic period, and there is a lesson that we can draw from his career as Grand Master. Some of the events in his Masonic history are interesting, and I am going to mention them briefly to you tonight. He was elected Junior Grand Warden in 1819. Immediately after his year of service he seemed to lose interest in Masonry, did not attend the Grand Lodge, and took no part in Masonic activities until the persecution reached its height. Then he rallied to the support of the Fraternity, and to quote his own words, "I have no hesitancy in saying that on a re-examination in the face of this opposition, I find that I have come to a more rational belief in the utility of Free Masonry and the desirability of its continuing." In times like those, when it was dangerous for a man to acknowledge that he was a Mason, when families were being rent, as well as business connections destroyed because of Masonic affiliations a man who had the courage to make a statement of that kind, I think compels our respect and admiration. He was unanimously elected Grand Master, sixty-four votes being cast. Contrast that with the last election, when about nine hundred votes were cast. Shortly after he assumed office, the Masons were obliged to vacate their quarters in the old State House, and they began to look for some place where they might build. They purchased a lot at the corner of Tremont Street and Temple Place and began the erection of a Masonic temple. They found that the erection of this temple, which was to cost $40,000, would cause them to exceed the amount of property which they were allowed by their charter to hold. They therefore went to the Legislature and petitioned for a change in their charter. Immediately there was a riot in the Legislature, and their request to have their charter amended was refused. Most Worshipful Brother Jenkins, nothing daunted, went ahead, borrowed the money, and started to build the temple, saying he would trust to the fairness of the Legislature and the people in general, when this excitement had passed, to allow them to continue as they were. At the time of the laying of the corner stone, the question arose as to whether or not it would be safe to have a procession and to use Masonic ceremonies. Most Worshipful Brother Jenkins said they would have a procession and they would use Masonic ceremonies, and they did. When the building was nearly completed, another question arose as to whether if was safe to place Masonic emblems upon the Temple or not, for fear that they would be defaced. He said that any Masonic Temple that was built should have Masonic emblems, in spite of any opposition, and they were there placed. When he completed his three-year term of office, the Grand Lodge, by unanimous vote, thanked him for his courage, efficiency, and persistence in the face of opposition. There is the record of a real Mason, a man who had faith in his Masonry, and the courage of his convictions. I wonder whether, with that example of danger in the time of opposition, we do not still have danger in times of prosperity. We are enjoying a period of prosperity now, but is there not danger of indifference; danger of forgetting just what our obligations mean; danger of leaving to someone else the necessary work that has to be done? Most Worshipful Brother Jenkins spoke of making a re-examination of Masonry. Perhaps it might be well in these days, one hundred years from that date, if we should make a re-examination of Masonry, and a re-examination of ourselves as Masons. Are we contributing our share in adding to the honor and the strength of this institution that we love? Should we not look the matter squarely in the face, see the situations that are before us, and try to decide what we can do to better our Masonry? On May 30, 1832, Grand Master Joseph Jenkins led the officers of the Grand Lodge in procession through the streets of Boston in full regalia, defying the anti-Masonic attitudes prevalent among their fellow citizens, to the site of the beautiful temple that would be their new home. To walk thus required fortitude on the part of the participants that day, but it was merely one more segment of a difficult path that the fraternity had walked since the Morgan Affair touched off the firestorm of anti-Masonic fervor six years earlier. Prayers for the occasion were offered by Rev. Paul Dean, a future Grand Master, and by future Deputy Grand Master E. M. P. Wells; and after the official ceremonies were complete, the Grand Lodge proceeded to Chauncy Street Church (Grand Lodge was denied the use of St. Paul’s Church due to the intervention of a “superior power” as reported at the next Quarterly Communication. ), where they listened to a dedicatory address by the noted speaker and Universalist preacher, Reverend Bernard Whitman. Whitman himself was a Freemason, and he was a signatory to the Declaration of 1831; he had preached several sermons in defense of Freemasonry. Rev. Bro. Whitman’s oratory was impressive and forceful. The Masonic fraternity refused to dissolve, its loyal members declined to abjure, and the Grand Lodge chose not to surrender any of its ancient rights and privileges in the face of opposition. The temple had been a matter of interest for Grand Master Jenkins since his election. In March 1830 the Grand Lodge resolved to appoint a committee of five members to investigate “procuring a place for the meetings of this Grand Lodge,” which was at the time occupying rooms in the Old State House. The Building Committee was directed to obtain a loan of up to $15,000 for the project, and on October 14, 1830, the Grand Lodge assembled at Faneuil Hall for a procession to the building site near St. Paul’s Church. There, the officers laid the cornerstone for the magnificent new structure. Just as with the dedication ceremony two years later, the members of the Grand Lodge undertook their task in the face of anger and the threat of violence. By the time the building was complete, the political landscape would have deteriorated further, placing the fraternity in peril. Only a leader of great stature could pilot through it. Not long after the laying of the cornerstone, Grand Lodge estimated that the value of the proposed building would exceed the amount of real estate permitted under the 1817 Act of Incorporation. Grand Lodge was permitted to hold only $20,000 in property and another $60,000 in charitable funds. Some of these funds had been diverted to the construction of the new temple. It was decided to petition the Legislature to alter the Act, so that by the time the building was complete, it would be legal. In the meanwhile, construction progressed and the costs — and debt — continued to climb; by late 1832, costs exceeded $40,000. Sentiment against the fraternity was sufficiently strong that the request to alter the terms of the Act of Incorporation was denied, even though it involved no change in the total sum the Corporation was permitted to hold. According to contemporary accounts, the anti-Masonic party in the Legislature poured forth “torrents of filth and abuse” which they heaped upon the Masonic institution. They charged that the Grand Lodge had violated its corporate powers; they charged that it was a wicked and dangerous association; they prayed that its act of incorporation might be revoked. The Grand Lodge could have retreated, abandoned construction for the time being and returned to the project when the time was more propitious. A less decisive leader, a weaker character might have chosen that safer course. Grand Master Joseph Jenkins did not. He appointed a committee for a dedication ceremony; in answer to the concern that a public procession might be “inexpedient,” the Grand Master directed that it take place as planned, and that a “distinguished brother” would deliver an address “in the presence of the brethren who may be assembled.” And furthermore, the building would bear “the usual Masonic emblems.” Whatever the opinion of the public, whatever the legal consequences, the Grand Lodge would take up residence in its new home. The crisis had not passed, however, and by the end of 1833 the menace to Grand Lodge was tangible. The Grand Lodge seemed adrift during the year, embarrassed by the acceptance and then the refusal of President Jackson to attend a special meeting planned for June. It was in violation of its corporate charter; the anti-Masonic power in the Legislature was stronger than ever. Without doubt, when it assembled in January, it would seek to destroy the Massachusetts Masonic fraternity. The House of Representatives even prepared and presented a petition — what might be termed an ultimatum — to demand the dissolution of the fraternity in Massachusetts. When Grand Lodge turned to Past Grand Master Abbot to lead them again at this time of great need, he helped prepare a unique and effective solution: sell the temple that violated the charter and then free the Grand Lodge from further involvement of the Legislature in Masonic affairs by surrendering the Charter. Grand Master Jenkins came into a difficult situation. The enemies of the Craft had been gathering strength since the eruption of the Morgan Affair; a political party had been formed in New York in 1827 to coordinate the public efforts of the detractors. 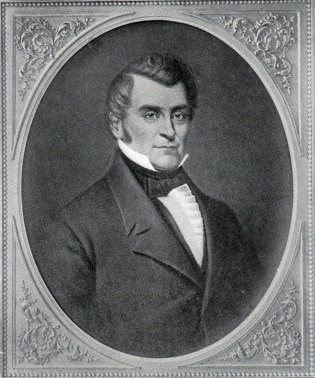 The new party held a convention in Philadelphia in 1830 with representatives from several states, including a substantial delegation from Massachusetts. Committees were appointed to inquire about the “pretensions of Freemasonry,” to investigate the allegiances of those under Masonic obligations, and to “report what measures can properly be used to effectuate the extinction of Freemasonry.” For the next three years, conventions were held in Boston that made increasingly strident demands for the Massachusetts fraternity to disband. The anti-Masonic movement demanded, on behalf of the people, to be answered on the counts of their challenges. Jenkins refused to engage in discourse with the convention, and refused to rise to the challenge or confront Masonry’s opponents since this would arm them more fully, for no argument or appeal to reason would have sufficed. The fraternity weathered the storm, selling its beautiful temple to a brother (and then buying it back), surrendering its corporate charter, and staying steadfast during Grand Master Jenkins’ administration as well as those of his successors. By the time he died in 1851, just short of his seventieth birthday, he had seen the fraternity return to strength, and begin a period of growth and prosperity that would last for nearly 40 years. The present age may emphatically be called an Age of Societies. The number of associations for relieving the wants, militating the mysteries, and administering to the miseries, and administering to the comfort of the needy and to the amelioration of the condition of mankind in general, is beyond all precedent. The increase of these societies has been extremely rapid in many countries of Europe; and, as in almost every thing our nation is endeavoring to rival the eastern world, so in this particular, we suspect that we can already outnumber the greatest of them in our charitable societies. The disposition which is everywhere manifested manifested in forming associations and raising funds to be devoted to the advancement of science, the extension of the christian religion, and the ordinary purposes of benevolence, for as one of the prominent features in our national character. Among these voluntary associations of individuals, which are honourable to the metropolis of Massachusetts, very few are entitled to a higher rank in the scale of usefulness, than the Massachusetts Charitable Mechanics Association. An excerpt of this speech appeared in Masonic Mirror, New Series, Vol. I, No. 40, April 1830, Page 313. Address Delivered Before the Grand Lodge of Massachusetts, by Joseph Jenkins, Esq., G. M., Dec. 29, 1829. No Masonic body, perhaps, lies under greater responsibilities than this Grand Lodge. It is the first established in America, and by its authority, Free Masonry was first promulgated in our land. This body, if I mistake not, has ever sustained a high character for dignity and respectability. When I consider the distinguished men, who have occupied this chair, and the great importance which has ever been attached to this office, I tremble lest I should put forth, as it were, a sacrilegious hand and touch the ark. I am inclined to shrink from responsibilities, which are so disproportioned to my powers. When I think, too, that our institution is attacked by foes without and foes within, how does it heighten the interests and the fearfulness of the undertaking. But my brethren, I have not in this respect taken a leap in the dark. I know the nature and character of the institution, whose defense I now re-espouse, and I am ready to stand by its interests, and to protect them with all my feeble talents. Yet, this is not the day for boasting; it is a day of rebuke, a day of darkness, and it becomes us to pause and look about us; to examine the present state and character of our society, to search out its defects, and endeavor to remove them; to consider the objections brought against it, and to weigh them in the balance of equity and candor, and then to make up our minds respecting our duty, and to pursue it without wavering. First, let us be reminded, that the essential and legitimate objects of Free Masonry are exceedingly simple, and may be stated in a moment. They consist in the establishment of funds for the relief of distressed Masons and their families; certain secrets to protect those funds and secure them to their appropriate use; and a code of morals, enforced by solemn obligations, designed to make all its members upright, honorable and useful in the various walks of life. Our institution derives its name, no doubt, from the fact, that it was originally, in some way, connected with the science of building; but as we have received it, and as it is known to have existed for centuries, its appellation is purely figurative or emblematical; and those, who understand the subject, need not to be told, that the moral deductions, derived from this connection, are most ingenious and salutary. With regard to the forms, ceremonies, paraphernalia, titles, &c. of Free Masonry, it is sufficient to say, that no judicious Mason attaches much intrinsic value to them, and it is probable, if that department could submit to modern taste, it would assume a somewhat different aspect; and yet as Masons understand the subject, there is nothing in these appendages, which gives them much inconvenience; they are not deluded by titles and trappings, but use them only by way of expediency, as they illustrate the antiquity of the order, and carry back the mind to other times, other tastes, and other customs. There is one form, however, which, while it has served with others to illustrate the literal predication of Free Masonry, has been a source of complaint with our enemies and also with our friends — I allude to the habit (perhaps I might call it the ancient usage) of taking refreshment in the Lodge-room. But I am happy to add, that, so far as my knowledge extends, this practice, in this country, is entirely done away. If in this, however, I mistake, I pray liberty here to protest against the custom, and to exhort the Lodges, should it still lurk in any, to finish this work of reform, by entirely discarding a practice, which, in that relation, is too antiquated for modern taste, and too deleterious in its effects, to be tolerated by men, who wish well to the morals of the community. The present attack upon Free Masonry will, I doubt not, if properly improved, be the means, indirectly, of great good to the cause. Possibly, at present, some are led to regard it as a great evil. It is indeed an evil, in itself considered, but not so ultimately, in reference to us, if we are wise, to turn it to its proper account. It may serve to check the enthusiastic, and to revive the recollections and sleeping energies of those who have long neglected its interests. It may lead the judicious Mason to review its principles and to try them before the tribunal of conscience, equity and duty ; and I will hazard the remark here, that any Mason, not actuated by wrong motives, independently of considerations of a personal or local nature, will come from that tribunal a warmer and truer friend to Masonry, than he ever was before. But there is another and perhaps much greater advantage to be expected from this opposition; it spreads the subject before the world,—for it is has a tongue and a press. This will give to it a higher importance, either good or bad, than it ever had before; and those who know its character, and are not afraid to declare it, must come to the conclusion, that just so far as good sense and wise discrimination are predominant in the world, i. e. in the public sentiment, just so far will our institution be benefited by this attempt to destroy it. If our institution is ever to be abolished, it must be done by ourselves ; none else are able to do it, and certainly none else are competent to decide whether it should be abolished or not. Therefore, I would advise these volunteers in the crusade against us, to give up this work of supererogation, and leave Masons to manage their own affairs in their own way. Allow me to occupy a few moments, in considering some of the objections, which our enemies bring against us. First, they say that, "Free Masonry is deistical in its sentiments; it does not recognize a Saviour." It ought to be a sufficient answer to this charge, to declare that it does not deny a Saviour. Free Masonry, as such, has no appropriate religion at all, except that it professes a belief in one only living and true God — but does not undertake to control the opinions of its members with regard to the nature of that Being, or whether He exists in one person or three. But let us examine the point a little farther, and we shall see that the charge cannot be true, from the nature of the case.— Now in addition to the invariable declaration of Free Masonry, that it regards no man's religious sentiment, any farther than has been stated, the history of our order, which is known and read of all men, in its acts and professions, corroborates the same principles, and the world has seen for ages that men of every religious sentiment, have ever been members of this fraternity and have united to promote its weal, when they could unite in almost nothing else. Here, as members of the great human family, they have met, to recognize their common wants, their common frailties and their common dependencies; and in view of these have entered into common obligations to regard each other in all the relations of life, with benevolence, and equity, and charity. Tell me, ye enemies, (I will not say of all righteousness,) is there anything in this, that looks like denying the Saviour? Is there anything in this, which should induce you to assume a control of public sentiment, and endeavor to excite it against us? In addition to this; the direct tendencies of Masonic associations are to remove the asperities of life, to liberalize the mind, to dissipate that bigotry which is too common with religious sects, and thus to open the heart of man to man and if not prepare it for, certainly to remove some hindrances to, the reception of truths which the pure in heart are ever anxious to impress upon others. Here then is a result, which alone is worth all the efforts bestowed by Masons; and although it may have been no part of the original object, yet, in providence, it so turns our; and the fact should at least screen us for the charge which I have endeavored to refute. We are charged with being anti-republican. He must be too ignorant of the principles and constituent character of Free Masonry to judge of its merits, who does not know that as an institution it has no political character, except that it professes and implicitly binds itself in obedience to the laws and constitution of the country where it exists, and that from the very nature of its character, composed as it is of every political sentiment, it is impossible that it can ever combine to countervail the laws or subvert the government. But I remark, it is almost the only association of en which is not obnoxious to such a charge. On the other hand, it exerts a positive influence in favor of our own republican institutions. Its own laws and principles, and the very structure of its constitution, all tend to promote a spirit of true patriotism and give to it a moral power which ever has been and ever must be, a sort of balance-wheel in the machinery of government and those who would destroy this would undermine our liberties, and introduce anarchy and mischief in the land. Am I still asked, how our institution produces such results? In answer, I will only recapitulate the substance of what I have already said ;—That its great end is to make men better and happier, and that all its legitimate operations flow from that principle. And that the multiform condition, habits, sentiments and interests of its members, and superadded to these the invariable requirement of a special and solemn recognition of the powers that be, and of the duty of implicit obedience to the laws and constitutions of the country, tend irresistibly to the same end.— No other men are under the same obligations of loyalty and patriotism, and millions in our own and other countries, are under none at all, except the general laws of nature and expediency, as they are illustrated in the government under which they live. It should be remembered, that Masons are a priori, under all the obligations of other men; and shall they be reproached and denounced because they have volunteered in other obligations and other duties, all of which tend directly or indirectly to support the government, and to improve the condition of their fellow men? I appeal to the remaining good sense of those who thus reproach and denounce us. It is said that a Mason is under obligations imperative and unconditional, according to his ability, to help a brother in distress, and this, in part, is true. But our enemies make it a crime; and so it might be without a right understanding of the matter, and every real Mason has that understanding. It is said that a Mason will not give his verdict against a culprit at the bar, if he be one. Now brethren, a criminal at the bar, or anywhere else, is not and cannot be a Mason. He may have been a Mason, and still retain the outward signs, but he has forfeited his name and his privileges and is no more a Mason in fact than if he had never heard the name. And it should be remembered that Lodges are subject to the same rule, and the same remark. Suppose that it should so turn out that the majority of a Lodge become abandoned and unprincipled men (which can never be the case if our rules are regarded in the admission of members, and in the expulsion of such a become a reproach) in such a case they are no longer entitled to their name, and their privileges, and should be regarded by all good men and Masons as a dangerous clan, and should be held up to the execration of the world. Pray, what constitutes a Mason? Simply and only a character in accordance with its principles. This sentiment is prominent in every department, even in the bestowment of charity. What though a man may have paid his thousands to your funds, and been an ornament to your institution; should he become poor, and with the loss of his property lose his character also, though he may excite your compassion as a fellow being, he has no claim to your relief as a Mason. There is great wisdom in this provision, and it should be adhered to with the utmost rigor. I should waste your time in shewing that the obligations of Masons never have interfered and never can interfere in the administration of justice between man and man, unless it be, to make men more conscientious and scrupulous, that they decide according to truth and equity. It is said, that Free Masonry assumes the place of religion. This charge originates, no doubt, partly from the fact, that the Bible is used and prayers are offered in the Lodge; but chiefly, I apprehend, from a less commendable circumstance. Zealous, enthusiastic and ignorant Masons have sometimes foolishly declared, that Masonry was a divine institution* and that they needed no other religion to carry them to Heaven. I am aware that books on Masonry have been published which assert this and many other foolish claims, and that these books have been (inadvertently no doubt) recommended by some Lodges in their official capacity, and have been received, more or less extensively, by Masons as standard works. But it is believed, that no well informed Mason, unless actuated by enthusiasm— by a zeal not according to knowledge, has over sanctioned such a sentiment. This must be regarded as a gross perversion of principle, and if the work of extermination now going on shall serve only to correct this error, perhaps we might almost rejoice that it had been undertaken. It is said against us, that our funds are selfishly applied, that we are not a benevolent society, that we give to our own, and to none else. The charge is not worth refuting, yet a refutation is found in the preceding remarks ; and I will add, that the church even, in its corporate character, has not the expansive benevolence of the Lodge. She gives aid only to her own poor members, but the Lodge is bound to give to any Mason who needs its aid, of any nation or any name. Besides, Masons, in addition to their own peculiar charities, sustain all the other relations of life, (and will continue to, unless proscribed) where, in common with others, they contribute to the various objects which demand their aid; and I submit, whether the man, trained in the school of Masonic benevolence, will not open his hand as wide as any other? Trace him for a moment; Is he friendly to the cause of Christians Missions, and he often is, whose heart glows with a warmer benevolence? Is he called to aid in sending the Bible to the destitute, who is more ready to give of his substance, that he may furnish the bread of life to those, who are perishing for lack of knowledge? Is he surrounded by those who feel the "hard hand of pinching poverty, oppress and grind them," who is more vigilant than he, to search out their wants and more prompt to relieve them? Now, I mean not to say, that the spirit of Masonry is to be compared with the spirit of the Gospel, but only, that other things being equal, the true Mason will excel in all the relations, and duties, and exigencies of life, and this mainly, from his additional obligations and the power of habit. The spirit of Masonry is a catholic spirit; it holds no truce with bigotry, it meets man upon the broad ground of common humanity, and if it has a residence in the Christian's heart, it seems to regulate his zeal – to expand his benevolence, and lead him to cast a mantle of charity over all his race. Pardon me, my brethren, I mean not to eulogize Free Masonry; her humble defence is all I can hope to accomplish on this occasion. We are called a secret society, and the prejudices of the community are excited against us, on that account, as dangerous to the liberties of the people. This conclusion is as unsound as it is untrue, and, that it is untrue, our entire existence proves. But I venture position here, which I am not quite sure will be sustained by my brethren. – It is, that, although Free Masonry has secrets, and many of its operations are not, and cannot be performed in the presence of the uninitiated, yet, that is not strictly and properly a secret society. – The appropriate appellation of a society is derived from its essential and prominent designs and features; and with regard to Free Masonry, what are these? They are, in a word, the relief of distressed, and the inculcation of moral principles – I hold therefore, that we should not be called a secret, but a benevolent and moral society. Besides, are not her secrets, even, readily communicated to every worthy applicant? Certainly. – But we are told, "you demand money for admission and thus compel men to pay for their curiosity, or their desire to detect imposture and expose the fallacy of your pretensions." We do indeed ordinarily demand money for admission, and that money constitutes our fund for the relief of indigence. But this requirement is not universal. One class of the community are never taxed; and it is that class to whom, of all others, are committed the guardianship and protection of the morals and best interests of the world; I mean the Clergy. And here again we are told, "You do indeed admit the Clergy free of expenae, but you do it to cloak your deformity; and you impose on them obligations of secrecy which paralyze the advantages to the world, that would, otherwise result from their initiation among you. You throw around them a magic spell, which, though they would gladly expose your wickedness, seals their lips and perpetual silence." And is it indeed so? Recent events have shewn the reverse – have shewn that the spell may be broken – nay that something else may be broken which ought to break the hearts of them that break it. It is made our fault, that we have the Holy Bible in our hands, and that we profess to put our trust in God. Now just so far as the Bible is handled with indifference and the name of its divine author is irreverently pronounced, so far I admit there is sin, whether it be true of Mason or anyone else. But what good man, will say to his unconverted neighbor, "Make no prayers to your Creator, and cast his holy word from your dwelling. – 'Tis impious, 'tis mockery, to perform the one or retain the other"? Certainly that good man cannot be found. But it is not yet pretended that there are not some even in Lodges, know the worth of prayer, and prize above all riches the "precious word." suppose however that "there is none good, no not one." Still, the practice under consideration, instead of being a fault, goes very far to show that the views and feelings of those who founded our order, or wise and sober, and that they were men who acknowledged "God in all their ways" and placed their hopes on the truths of his Word. Those who have endeavored to trace our institution to its origin have been abundantly convinced – that its very Corner stone was a belief in, and a knowledge of the True God; and they know also, that such a belief and knowledge, connected with a solemn sense of his attributes and his presence, are the most powerful means for the promotion of benevolence in the heart, in virtue in the life. The charge of imposture is thrown upon us because we speak of the antiquity of our order; when as we are tauntingly told, it has not existed one hundred and twenty years. - I confess I do not greatly regard the question, whether our society be old or young. I introduce the subject here, merely to throw off the charge, and to shew that our enemies sometimes speak without all that regard to truth, which is desirable for those who set themselves up as the censors of public morals. I first refer them to a statute enacted at Westminster in the third year of Henry VI, on the last day of April, A. D. 1424, about 406 years ago. I also refer them to a letter of John Locke dated May 6, 1696, to the Earl of Pembroke, on sending him a manuscript from the Bodleian library on the subject of Masonry, written by the said Henry, who, after he came out of his minority, joined the Masons and became their patron and advocate. I have seen another historical fact of unquestionable validity, which carries back the institution one thousand years farther, and at that time applies to it the epithet ancient. It should be remembered that the peculiar characteristics of Free Masonry have been handed down chiefly by oral communication or tradition; and that all well informed Masons have satisfactory evidence of the existence of our order, in form too, even in the days of Solomon; and this not entirely from tradition. They learn it from the Bible, from Anacharsis, from Plutarch, and Josephus. It might be well for a learned professor in this region, who has recently indulged in ridiculing our pretensions to antiquity, from some of the pretended developments of Free Masonry, to consider, through how many thousand years and thousand generations and thousand tongues the story to which he refers, if true, may have descended, and then inquire whether there is anything strange in the fact, that, what now may ba found in Latin, though "formed by no very skilful master," was originally in the Hebrew tongue. The case is taken for instance, without considering the truth or falsity of the story alluded to, merely to illustrate the fallacy of such argument, reminding the gentleman, that written history and oral history are very different things, and cannot be subject to the same laws of criticism ; and to assure him, that, if he had been a Mason, or, if he had obtained a right knowledge of the subject in any other way, however he might with his seceding brethren have hated the institution, he never would have risked his reputation for learning and discernment by placing his name under such false reasoning. Some are and must be greater than the rest." And though it occasionally throws in its salutary claims, and reminds its votaries, that they are all of one common family; yet it never desecrates the dignity of office, nor sullies the lustre on the escutcheon of power. Others still, who have never engaged in the labors of the Lodge, and whose avocations prevent then-frequent attendance, who have not so studied Masonry as to make proper allowance for its antiquity and to inquire into the origin and use of its forms, may sometimes have doubted its utility, or at least the expediency of devoting the requisite time to its operations, and thus have been led to neglect it, and sometimes perhaps, to leave it in the hands of others, less competent than themselves to manage its concerns. These things have injured Masonry and brought reproach upon it; they ought not so to be. If we desire our institution to prosper, it should be our aim to make it just what it was designed to be, and just what it professes to be, to pay that attention to it which its importance demands, and it will stand unmoved against the attacks of its enemies; it will not be shaken by the fury of demagogues, or the wild-fire of fanatics. And dash and die along the shore. It may possibly be useful to notice some of the probable motives which have actuated seceders, and led so many to renounce Free Masonry. – They compose a great variety of character, and hence the same cause produces in them a great variety of motive and feeling and conduct. I will admit, for it may be possible, that some among them are honest and sincere; but they must be weak and cowardly men, or they are ignorant of the principles they have pronounced. And if the latter, how can they be innocent in pronouncing sentence of condemnation, where they do not understand the merits of the case. Some are ministers. Their people have imbibed a prejudice against Masonry, and they say to their ministers, "We cannot hear you preach what you belong to that wicked society." He looks around him; he may have a dependent family; the ties of nature are strong and tender; yea, they are stronger than his faith, and more tender than his conscience. – He counts the Masons in his parish, and finds the odds against him, he says to himself, "To be sure, I find no fault with these men. I see nothing in them worthy of death or of stripes. I cannot abandon them." But the voice of his parish echoes in his ears, "away from them, away from them; nay, if thou adhere to them, thou art not thy people's friend;" his courage fails; he cannot lose his place; the poor Masons will not hurt him; yes, he is sure of that, he knows their principles forbid it; for he himself has often uttered in their presence, and they in his, the blessed precept, render not evil for evil. He yields the point, breaks off his connection, and proclaims the world that Free Masonry is an impious and anti-Christian society. Here I have to say and I do it most willingly that I never blamed a Gospel Minister for withdrawing from Masonry, if he saw that his connections with it injured his influence with the people of his charge. But I do think, it is enough to withdraw, and not become the enemy and accuser of those whom he once professed to love and respect. I will pursue these inquiries no farther, except to add that without a question seceders of different characters and different professions are destitute of reasons as commendable as these. – They are moved by ambition, and are willing to purchase popularity at the expense of conscience and the peace of the community. Allow me one thought more in this connection, and I will relieve your patience. it is that none but despotic governments have ever proscribed or attempted to proscribe Free Masonry. And they have done it chiefly, I apprehend, from the fact that the guilty are always suspicious, and never quiet while any around them are enjoying their own opinions and their own rights. And though we claim nothing for our society which would class it with the institutions of religion, we cannot fail to see that there has, and must have been, a providential protection, or it would ere this have been swept from the earth, and eradicated from the memory of man. And I would ask those, who in this land of liberty, have enlisted in the war of extermination, whether they have any sober expectation, that their puny arm with that of all the infuriated madmen they can rally around their standard, will ever be able to put down a society which tyrants of every age has sought to do in vain; nay, who in many an honorable instance, have acknowledged their error, thrown down their weapons of persecution, sought admission among Masons, and become their most devoted as well as most powerful advocates. Honestly – I pity these modern pretenders, they know not what they are about; their enterprising most assuredly fail them, and the fear is that after having spread mischief in the land, distracted families, churches, and political communities, they will not live long enough to repent to the evil – certainly not long enough to repair the mischief. For myself, though I was once enthusiastically attached to Masonic pursuits, I have no hesitancy in saying that from the re-examination which the present opposition has induced me to make, I have now a more rational conviction of the utility of Freemasonry and the necessity of its continuance, and I ever had before. I have been led with more care to weigh its principles and their tendencies, and to compare them with the nature of man, and the state of the world, and although I am ready to declare here and everywhere the Freemasonry will be of no avail utility when the religion of the Gospel shall take the earth – nay more if I believed its existence operated as a hindrance to the spread of the gospel – my own hand, were able, should spring the plot now laid for its destruction. If I believed the existence of Free Masonry operated as a hindrance to the spread of the Gospel, my own hand, were it able, should spring- the plot, now laid for its destruction. But the fact is not so, and cannot be so, while it simple objects are wisely regarded by its friends. But when Millennial light shall illumine the world—the light of Masonry with that of all kindred institutions, will be merged in its splendor, and then, let it and them be blotted out forever. Permit me in closing to say, that our first and most obvious duty, is to evince by our own character and deportment as Masons and as Lodges, that our institution has not a bad, but favorable influence on ourselves. Let us, in a word, live out our principles, and live down our enemies. I would next remind the Lodges of what I trust is regarded as a universal rule, and which I am sure is a fundamental principle, that the fees for the initiation of candidates constitutes a fund sacred to the wants of worthy Masons, their widows and orphans,- and I would suggest whether at a time like the present when we cannot expect many additions to our number and consequently very little addition to such funds from that source, it would not be wise for the Lodges to hold their meetings less frequently than they have usually done? Not that any duty should be neglected, but a rigid economy adopted, that Masons may still be able to help the needy. I have often felt that the titles of Free Masonry are among the most prolific causes of the prejudices which exist against it. And I would inquire whether even at this late day it would not be judicious, in our public announcements, to omit those titles which are purely prototypical or emblematical, which indeed are entirely proper and convenient in the Lodge-room, but can have no possible benefit anywhere else? I am glad to believe that the judgment of Masons is now very much against the practice of the public exhibitions of Lodges in their peculiar decorations and badges. So far as the uninitiated are concerned, these things are regarded as mere spectacles that excite curiosity and sometimes ridicule. I desire that all the Lodges within this jurisdiction will cultivate the sentiment, that they are one with the Grand Lodge. That the Grand Lodge is little less than a convocation of their own representatives, met in Council for the general good. Let us, my brethren, and I would say it to all the Lodges, unite our generous efforts to divest our institution of its superfluities and its follies—to place it upon its own proper basis, and to use it alone for those noble purposes for which it was designed and to which it is so happily adapted. And let the world take knowledge of us, that we are the better men for being Masons. Let us neither manifest nor feel any unkindness towards our persecutors. Let us remember that many among them may be good, though we think deluded men, and in accordance with our own maxims, and those of the blessed Gospel, endeavor to do good unto those, who despitefully use us, snd cast out our name as evil. It may not be required, but I think we owe it to ourselves and to this audience to explain the motives, which have led to this enterprize; to shew the reasonableness of the undertaking; to declare the objects, which we hope to attain; and if practicable to convince all that the effort before us commends itself to the judgment, the benevolence and the entire approbation of this enlightened and liberal community. It is seen by tbe inscription on the plate just now deposited in this corner stone when and by whom Free Masonry, which in this country began in Boston, was here established, and by whom it has since been conducted and inculcated; and it may seem somewhat singular that the Grand Lodge, governed by such men, should have remained so many years without an appropriate building for its own accommodation. But to those who understand the peculiar character of Masonic funds, the fact is readily accounted for. It may be still more surprising to some that the present period should be selected for such an enterprise. This too, is capable of very easy explanation. The Grand Lodge for the last ten years, has been eligibly accommodated in one of the City buildings and for that space of time at least, having fitted up the building at its own expense, has had no inducement to change its quarters. Recently however the parts of that building occupied by the Grand Lodge have been appropriated to the use of the City Government, thus compelling us to seek other accommodations. For several years there has been a desire expressed by many to erect a Masonic building in Boston, but from various circumstances there has been no time so favourable as the present for such an undertaking. The price of land has considerably fallen, materials for building are reasonable, and the price of labour is lower than our benevolence would lead us to desire. If any suppose that, at a season like this, when our institution is somewhat interrupted in its prosperity by the attacks which have been made upon it, and the mischiefs which have befallen it, this is an act of mere desperation and bravado, I am bound to assure them that nothing is farther from the fact. Still, as actions aways speak louder than words, we are willing that this transaction should speak, and speak the truth too; and that truth is,—that Masons have the most entire confidence in the perpetuity of their institution, in the excellency of its principles and in their adaptedness to the wants and woes of the world. With these views and sentiments, the Grand Lodge at its quarterly communication in June inst., resolved to proceed forthwith to procure a suitable site and to erect thereon an edifice for its own accommodation, and that of other Masonic bodies in Boston. From the belief that other Societies in the City want accommodations, it has been thought a wise and judicious investment of our funds to extend the dimensions of our building beyond our own immediate wants. We have felt assured that the location of the edifice is such as will command a constant occupancy of such public halls as are needed at the present day. The respectability of the neighborhood, the great convenience of access — the salubrity of air, the inimitable classic beauty of the prospect in the scenery around, all unite to confirm us in such an expectation. The Grand Lodge therefore enters upon this work with the most confident assurance: that its funds (which are sacred to benevolence) invested here, will receive a better income than can be expected from any public stocks now in the market. ference to the propriety and expediency of this project. of satisfactory explanation, the occasion does jnot allow me to enter on the task. Suffice it to say that these ceremonies, like the peculiar titles and badges of our Order, are essentially such as have been transmitted to us from ages Iong gone by, and if we have a right, we are not much inclined to dispense with or essentially to change them. The work in which we are now engaged, although in itself simple and apparently of little moment in its relations and consequences, is full of interest. It is so to us as Masons, — This is not the ephemeral work of a day to be forgotten to-morrow. The building we now commence is to stand a perpetual monument of the wisdom or the folly of these through whose instrumentality it is to be erected. A monument of the utility and excellence or the perfidy and worthlessness of the institution under whose auspices it is reared. We then, who know the character and design of that institution, must rejoice or tremble as we see those walls arise. And are we differently constituted from other men? Are we not selfish? Have we not a regard to our own honor and interest? Hath not a Mason, "eyes, hands, dimensions, organs, senses, affections, passions; are we not fed with the same food, hurt with the same weapons as other men?" And are not our characters at stake, in a transaction, which thus publicly and palpably proclaims our opinions, and our attachment to the principles and objects of this institution? The transaction is interesting to us as citizens of a free, enlightened and happy community. What language does it speak to those amongst whom we live and move, and have our being, with whom all our interests are blended and identified, from whom we expect every earthly joy and honor, to whom we lank to commend our virtues, or to condemn our vices; from whom we expect our only returns in the affections and civilities, and courtesies of life? The doings of this day are interesting to us as fathers, as husbands, as members of our several domestic circles. In view of this, does not every Mason make these inquiries; shall I cast a blot and a stigma upon the character of my family? Shall I wound the reputation and peace of the wife of my bosom, the children of my love, the sisters and the brothers of my affection? Are we Christians, — the event lias interests deep and high; they stretch beyond the vale of time and take hold on eternity's hopes and retributions. How does this transaction tell upon the cause of Him, who died to redeem our race from death eternal? Do we here erect a temple for the worship of idols? Do we expect here to inculcate sentiments subversive of Christianity? Is any object to which this building shall be devoted adapted to impede the progress of that Gospel, which brings peace on earth and good will to man? These are considerations which shew that the event has responsibilities which must weigh upon every man with a power that will either drive him from the work, or cheer his heart and nerve his arm for the labour before him. My brethren of the Masonic Fraternity. What do we say to these considerations; how do we answer these questions? Permit me to assume your feelings and to give your answer. I trust, that, in a figurative sense at least, we have not begun to build without sitting down first and counting the cost. I trust as we examine onr motives and review our principles, we have no misgivings of conscience when we put our hand to this I work. I trust we are able to give an answer to every reasonable man, that asketh — satisfactory to him, and to ourselves, that our work is honorable and our motives pure. I feel a pride in declaring in this public manner that the spirit which has been manifested in the various incipient steps in the projecting of this enterprise is alone sufficient to convince me that the great body of the craft under this jurisdiction are firm to their principles and rejoice in this opportunity of demonstrating to the world their determination to protect and defend them. It cannot be necessary, were it proper on this occasion, to go into a consideration of the principles of Free Masonry. Tbey have been stated a thousand times and all who are disposed have abundant means of knowing whether they are good or bad. For the present I will assume that these principles are good, and that our institution, in all its legitimate bearings, is happily adapted to our fallen nature. I will now ask this respected auditory to consider for a moment the peculiar nature of this institution. It is of little moment here to inquire whether it originated with Solomon King of Israel — or with a company of bricklayers in London. 'Tis enough for the present to know that it exists, and that too, in every civilized country on the earth. That it embraces within its pale men of every class, from the king to the humblest citizen, the only test of character being that of moral rectitude and a belief in God. There is no department of human society in all the civilized world where Masons are not to be found. Its language is the same throughout the world — its obligations are binding on all its members, without regard to nation or language, or any of the adventitious circumstances which effect the various relations and divisions of men. Probably in all political parties, (except one of modern and monstrous growth, which shall I now be nameless,) of whatever contrariety, there are Masons. Look through the parties of our own country: Federalists, Democrats, Administration and Anti-administration, Tariff and Anti-tariff, Jackson men and Clay men, and in them all there are many Masons. Look at the religious sects — the Catholic and the Protestant — the Episcopalian and the Presbyterian — the Orthodox and Universalist — the Baptist and the Methodist – the Trinitarian and the Unitarian, and in them all there are many Masons. Look at the other innumerable associations of men i» the world formed for literary, scientific, mechanical and other laudable purposes, and in them all there are many Masons. I hnve taken this view — that I may, in a word, simply inquire of my fellow citizens — whether it be possible in the nature of things, that an institution whose members are thus diffused through all the ramifications of human society and human interests, and whose own appropriate associations are ordinarily of every variety of temporal condition and political and religious sentiment, can ever be made an engine for the subversion of government or the dereliction of the happiness of man? It would be awarding to us an influence vastly beyond our claims and pretensions — to charge our institution with such results. We are brought then to the conclusion that if our principles are pernicious — it is an evil, spread through all the fibres of organized society, an evil which mast be borne until a power stronger than man shall sweep it from the earth; a curse, which from its very nature man has not the power to remove or avert. Nor let him undertake the work. To curse the world, itself must feel the curse. In all other associations not strictly religious, you find men of the same class or profession uniting in their respective societies, the farmer, the mechanic, the physician, the lawyer, the merchant, the manufacturer. We find the community also divided by common consent into various classes. All indeed uniting ns has recently been most beau tifully illustrated (Buckingham's Address before the Mechanics Association) — like the various hues of the rainbow. Not so Freemasonry. It is no sect, it is no party, it is no class,—it forms no distinct stratum in the iris of human society — but mingles its light or its darkness, its beauties or its deformities with each and all of them. But I have said enough. — It remains only that I acknowledge, and I do it with profound respect and most grateful emotions— the marked decorum, and apparent interest manifested by this interesting group of friends and citizens around us. We stand before you as Masons; you know us as men, as friends, and as neighbors. According to our character and deportment in these relations we expect to be estimated. Judge us by our works; love us for our virtues, condemn us for our vices. My Brethren, I congratulate you on the event which has brought us together. It is indeed auspicious in its character, but let me remind you that it brings with it new obligations and responsibilities,— we have again before the world borne testimony to the usefulness of our ancient institution. In this act we have proffered new vows on the public altar, that our lives shall conform to our principles. We have given new pledges to day, which I trust we are prepared to redeem. I thank you for your obedience to our call to assist in the ceremonies of the day. May you return to your respective homes in peace, and "may the God of love and peace delight to dwell with you and bless you," and yours for ever. This page was last modified on 8 March 2019, at 16:10.